OTDR, short for optical time-domain reflectometer, is an optoelectronic instrument used to characterize an optical fiber. 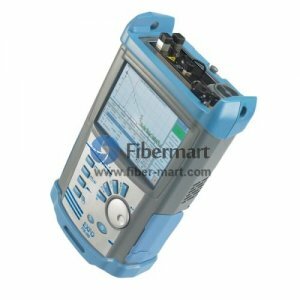 It can offer you an overview of the whole system you test and can be used for estimating the fiber length and overall attenuation, including splice and mated-connector losses. 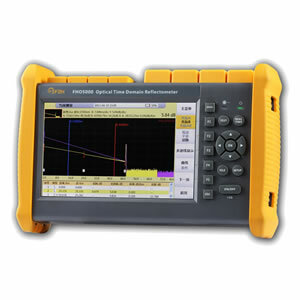 It can also be used to locate faults, such as breaks, and to measure optical return loss. Our OTDRs are available with a variety of fiber types and wavelengths, including single mode fiber, multimode fiber, 1310nm, 1550 nm, 1625 nm, etc.. And we also supply OTDRs of famous brands, such as AFL Noyes OFL & FLX series, JDSU MTS series, EXFO FTB series, YOKOGAWA AQ series and so on. OEM portable and handheld OTDRs (manufactured by Fiber-Mart) are also available.